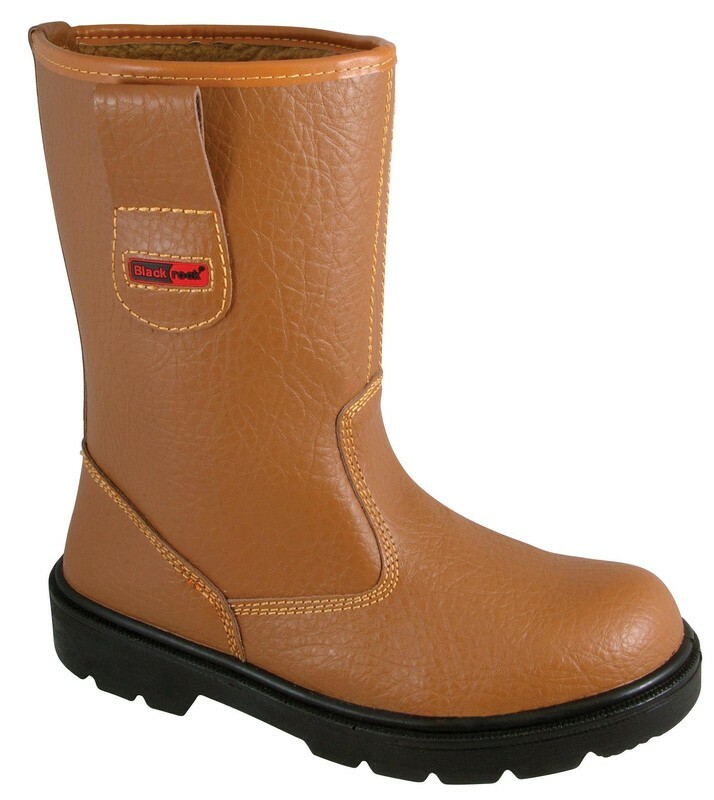 The Blackrock Safety Fur Lined Riger Boot offers excellent protection at an affordable price. The boot features a leather upper with triple stitched for extra strength and steel safety toe caps. The boot also features a steel midsole offering protection to the sole of the foot against nails and other sharp objects. Additional features of the boot include a double density PU shock absorbent sole and a fully moulded and removable insole. 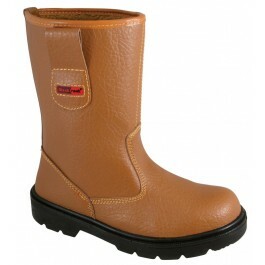 The boot is wide fitting and has a safety rating of EN20345 SB-P.
Leather upper triple stitched for extra strengh.